Sonoran Arts Network has a great interview with Michael. 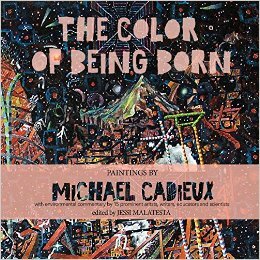 A book from Jaded Ibis Press "The Color of Being Born: Paintings by Michael Cadieux"
The Color of Being Born contains watercolor paintings and mixed media art by Montana artist Michael Cadieux. 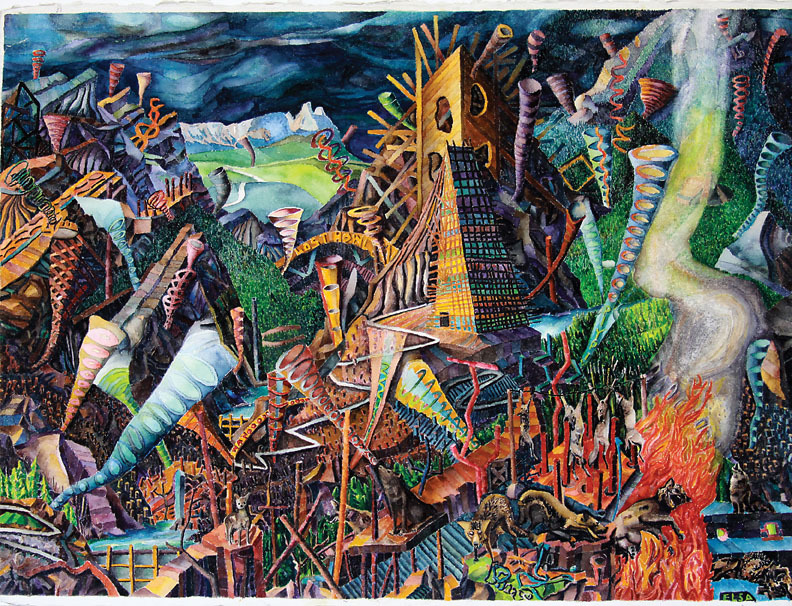 Of particular relevance are the artist's controversial Nova Totem paintings that depict an injured planet and emphasize the urgent need for environmental preservation and restoration. The book also contains prose and poetry by prominent writers, artists, scientists, and activists, such as NASA scientist and Battlestar Galactica advisor, Dr. Kevin Grazier; Hugo award-winning artist and writer Ursula Vernon; acclaimed sculptor and architect Martin Huberman; and noted journalist and Vanity Fair editor Alex Shoumatoff; and 11 others generous contributors.